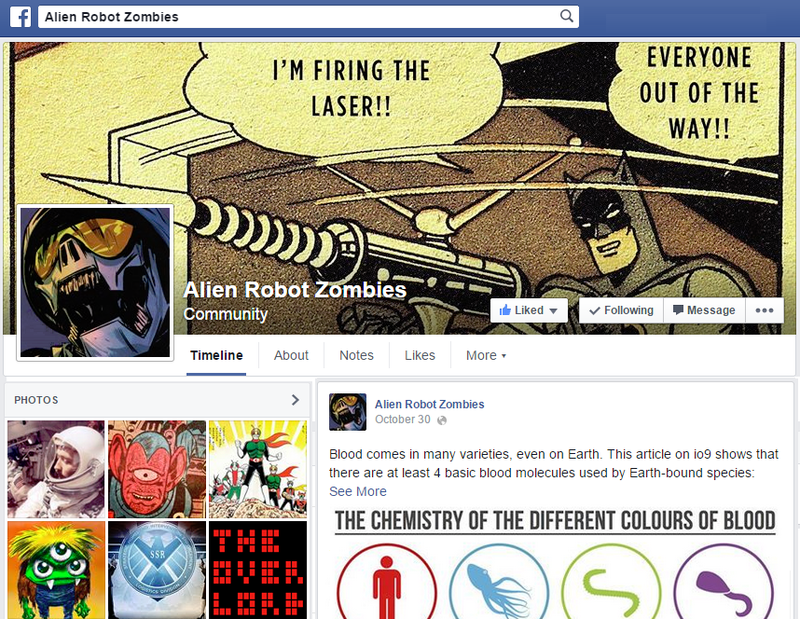 Alien Robot Zombies: I am an alien robot zombie skeptic. Although the title of this blog post may be somewhat ambiguous (and OK, I admit that's by design), let me just state for the record that I am not a skeptic who also happens to be an alien robot zombie. Rather, I am skeptical that alien robot zombies exist. I will grant some degree of probability to the existence of alien robots, alien zombies and/or robot zombies, but I simply have to draw the line somewhere. For those of you who follow my other blog, please note that this one will be completely different. "Three Perfect Minutes" covers my true passion (music), it is straight-forward and I try to add something to it on a fairly regular basis. By contrast, "Alien Robot Zombies" is meant to haphazardly collect all of my other random thoughts on topics far and wide. All told, of course, from the alien robot zombie skeptic perspective. Although they will appear to follow no set pattern, hidden within each posting will be a secret message, which once decoded will provide specific instructions for defeating our future alien robot zombie overlords.